On 10 November 2013, the governments of Kenya and Somalia signed a tripartite agreement with the United Nations High Commission for Refugees (UNHCR) to repatriate Somali refugees from Kenya to ‘safe areas’ in southern Somalia. The exercise was expected to be voluntary. The idea was conceptualised after the new Somali Federal Government was formed, and the agreement came amid reports that between 30 000 and 80 000 refugees had freely returned to Somalia since January 2013. Against the backdrop of the 21 September 2013 terrorist attack on Westgate Mall in Nairobi, however, Kenya’s renewed resolve to repatriate Somali refugees is seen more as a move buttressed by Nairobi’s security concerns. This is particularly evident from allegations that some of the terrorist attackers had used the Daadab Refugee Complex in north-eastern Kenya as their logistical base. The Kenyan government has also maintained that it has been shouldering a disproportionately huge number of Somali refugees, with limited support from the international community. Of concern, however, is whether the current security environment inside Somalia is amenable to voluntary repatriation, and if the Kenyan government will observe the human rights obligations relating to Somali refugees – in particular the principle of non-refoulement. Central to refugee law, this principle provides for the protection of refugees from being returned to places where their lives or freedom may be threatened. It is emphasised in the 1951 Refugee Convention, to which Kenya is a state party, together with its 1967 Protocol and the 1967 Organisation of African Unity (OAU) Convention governing specific aspects of refugee problems in Africa. Following the signing of the tripartite agreement, non-governmental organisations such as the International Rescue Committee (IRC), the Norwegian Refugee Council (NRC), INTERSOS, Action Contre la Faim (ACF) and Tearfund expressed their willingness to assist with the voluntary repatriation process, but pertinently urged for continued engagement in the ‘processes and plans around solutions and the practical implications of the tripartite agreement’. A tripartite commission was to be created to ‘draft an operational plan and provide policy guidance to effect the agreement’s provisions and regularly evaluate its progress’. Kenya’s Cabinet Secretary for Interior and Coordination of National Government, Joseph Ole Lenku, however, insisted that that there was ‘no turning back,’ and that it was ‘time to say goodbye and wish Somali refugees the best as they go back home.’ Kenya has also argued that the repatriation of refugees will expedite their reintegration inside Somalia and form a basis for rebuilding this Horn of Africa nation. While there are two main refugee camps in Kenya – the Kakuma Refugee Camp in north-western Kenya and Daadab in the north-east – it is the Daadab Refugee Complex, the largest and most congested refugee site in the country, that has been in the limelight over the repatriation process. Daadab has been hosting about half a million refugees, mostly from Somalia, since the outbreak of civil war 1991 and in October 2011 witnessed kidnappings of aid workers – something that contributed to Kenya’s military intervention in Somalia. 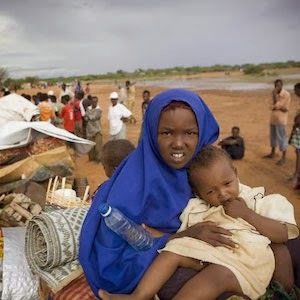 It is estimated that there are about 500 000 other undocumented Somali refugees in Kenya. The Daadab camp has been the focus of discussion on terrorism in Kenya because of its alleged connections to the activities of the al-Qaeda linked al-Shabaab terror group. While the Kenyan government has a right to pursue its security interests and protect its people from terrorist attacks and threats, it is important that it adheres to relevant international standards in the repatriation process. It is revealing that there were suggestions of differences between the Kenyan government and the UNHCR following the signing of the tripartite agreement. Lenku implied that the process was inevitable, given that ‘it was in the best interest of refugees and their [Kenyan] hosts’, while the UNHCR representative in Kenya, Raouf Mazou, maintained that the return of the refugees would only be carried out on a voluntary basis as per the tripartite agreement, and that the process would take at least ten years to complete. Kenya has not alluded to the only possible exception to the rule of non-refoulement provided for by the United Nations Convention Art 33(2), which accepts refoulement on the basis that ‘the person to be expelled constitutes a danger to national security.’ For voluntary repatriation to succeed, there is a need to invest substantial resources in education and health facilities, among others, in the ‘safe areas’ to make the repatriation appealing. This responsibility belongs not only to Kenya and the nascent regime in Somalia, but also to other countries in the international community. The issue, however, of whether or not parts of southern Somalia can be considered as ‘safe areas’ remains debatable given the continuing insecurity challenges that Somalia faces. In Kenya, the biggest security threat may, however, not be the Daadab Refugee Camp, but the country’s uneven growth and structural inequalities, which are helping al-Shabaab to recruit local human capital in Kenya. Of course, there is also the question of inadequately equipped security agencies and their inability to police the country’s borders. Some have argued that any move to repatriate Somali refugees against their will may be counter-productive, as the refugees would clandestinely find their way back through the porous border into the country. It is also important to understand that a sizable population of Somali refugees were born in the camps in Kenya, and may have little affinity with their parents’ country of origin. It is therefore crucial that the refugee repatriation process is truly voluntary, and that Kenya’s national security concerns are not prioritised over the rights of refugees. Any forceful repatriation could easily play into the hands of al-Shabaab by forming a fertile recruitment ground, if not a complete lack of cooperation from the refugees.